The Equitix team incorporating Frank Shaw Associates were chosen to form the Local Education Partnership (LEP) with Derbyshire Council on their £750 million Building Schools for the Future programme. The first wave of new schools, included the Frank Shaw Associates designed Springwell Community School. 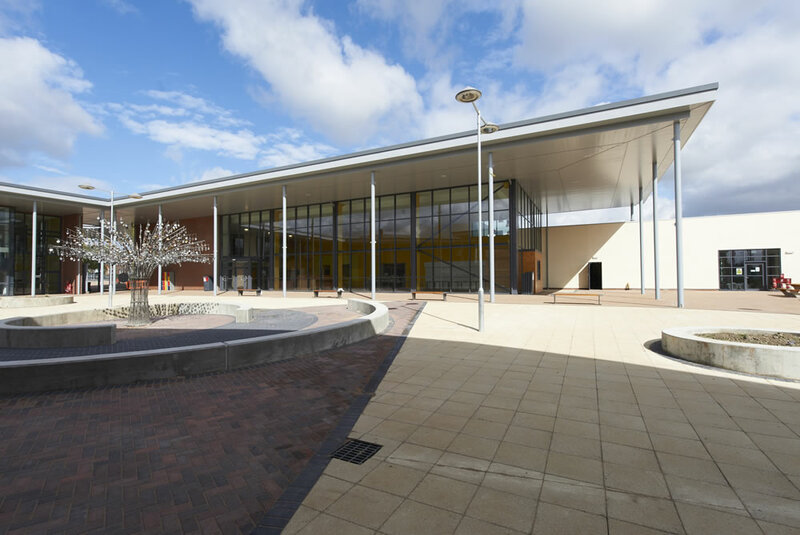 Springwell Community School was the first in a ten year programme to re-build Derbyshire’s Schools, – their largest ever school building project. It is a specialist Arts College for 900 pupils, designed on a campus model. The design permits a number of educational models to suit current needs and is flexible to serve a variety of extended future uses for the school and local community. “Springwell is exceptional in the way it achieves integration with the existing Sports Hall and Performing Arts Block. 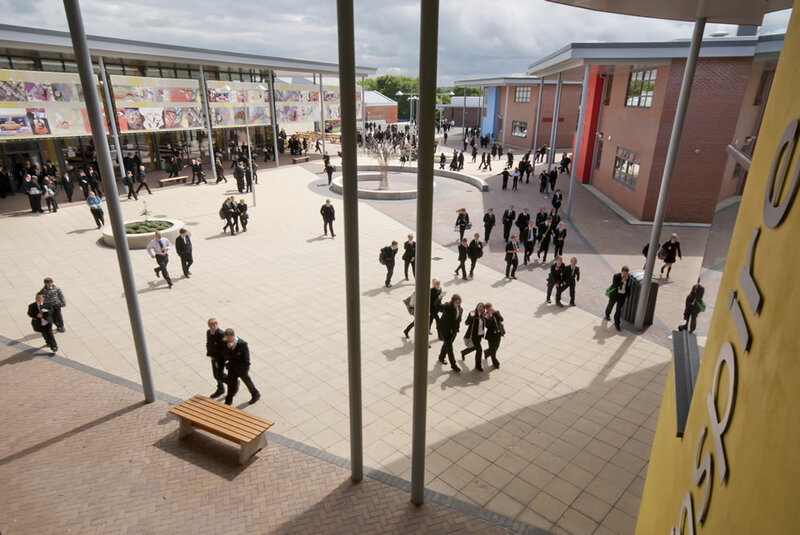 Also the design and landscape of the courtyard which gives a human scale that has already been reflected in improved pupil behaviour and a calmness in circulation throughout the school. 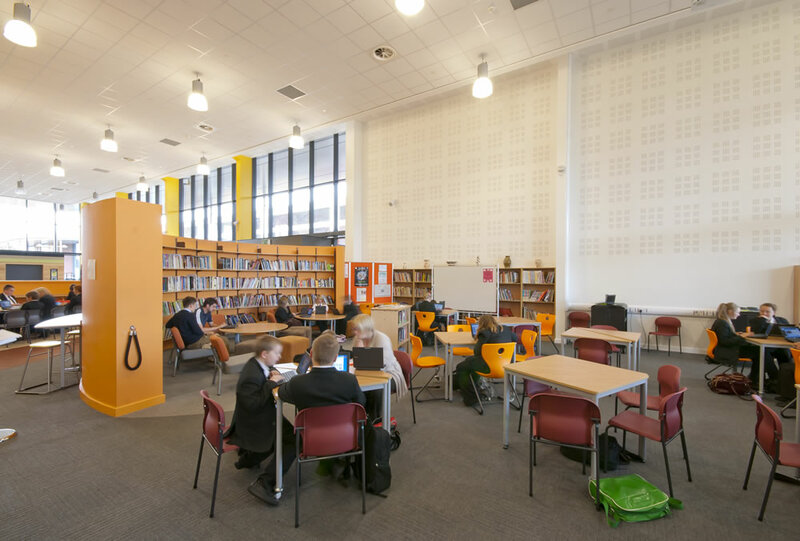 I was very pleased that you were able to include the pupil’s wishes, from the DQI exercises, to incorporate more colour within the school which I think has been a great success, the Dining Hall/ Library is absolutely splendid!” Julian Burgess Derbyshire County Council BSF Design advisor.